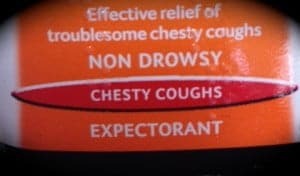 If you’ve ever had a cough or cold (ok, so that’s all of you), the chances are you’ve bought pills or powders, lozenges or a linctus, promising ‘effective relief’ from your symptoms. With our A&E departments in crisis, we’re hearing how we’ve lost sight of how to manage minor illnesses ourselves, but there can’t be many of us who haven’t bought over-the-counter medicines to help us deal with our symptoms. We not only buy them, we buy into them; we really want to think they are going to make us feel better. Of course, this in itself can have a positive effect on how we feel. But is there evidence to back up the claims made on the labels? Here’s what Cochrane review teams have found in looking for the best available evidence on over-the-counter (OTC) medicines for some common ailments. Are these worth spending our money on? A Cochrane review on the effectiveness of OTC medicines for acute cough in adults and children found no good, reliable evidence either for or against them. Although there were 29 trials to include, they were a very mixed collection of studies, often not well reported and looking at lots of different medicines with little evidence on each. They seem to be safe, with low numbers of just minor side effects, such as headaches, vomiting and drowsiness, but more people would need to be studied to detect serious and less common side effects. Another Cochrane review found too little evidence on OTC medicines to reduce coughing in children on antibiotic treatment for pneumonia to be able to say if they are helpful in these circumstances either. So we can’t say with any certainty that these products work, though they are promoted using language that implies their effectiveness is not in doubt. This is something for the regulatory bodies to look at surely? Honey has been shown to have properties that work against bacteria, viruses and inflammation and it’s an ingredient in many OTC cough syrups. A Cochrane review showed that while there’s no strong evidence for or against the use of honey, the few studies there are suggest that honey may be better than nothing and better than diphenhydramine (a common ingredient in cough syrups) for relieving cough symptoms. It’s important to note that the use of honey for children under a year old is not advised as they could be made ill by the bacteria C. botulinum, which may be found in honey. Another Cochrane review looked for trials of honey and/or lozenges for children with a dry cough lasting more than four weeks, but did not find any. I don’t suppose I’m the only person who knows someone who reaches for those packets of lemony ‘cold powder’ at the first sniff and swears by them. Many products targeting cold symptoms combine antihistamines, decongestants and analgesics – aimed at easing our sore throats, stuffed up noses and throbbing heads. Do they work? A Cochrane review found 27 trials (over 5000 people) which suggests that antihistamine-analgesic-decongestant combinations have some general benefit in adults and older children. However, these benefits must be weighed against the risk of adverse effects such as drowsiness, dry mouth, dizziness and insomnia. There is no evidence of effectiveness in young children. If you’d like to know what the evidence says on the use of vitamin C, zinc, echinacea products and garlic for treating cold symptoms, check out our advent blog in which the cast of Sleeping Beauty at the Compass Theatre give you the bottom line, panto style (who said evidence was boring?)! Sinusitis happens when the sinuses don’t drain properly during a cold and become infected. For every ten children with colds one will develop sinusitis and with children averaging four to ten colds a year that’s a lot of misery! Decongestants, antihistamines and nasal irrigation products are available without prescription and many people use them. A review team looked for evidence to evaluate their effectiveness in children but found no trials at all, so we’re still guessing whether they work. Sinusitis plagues lots of adults and children alike and if that’s you, or someone you know, there’s something you can do now to help research into this condition. 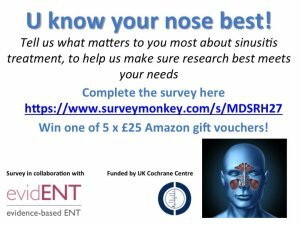 It’s important to know what matters to people about their sinusitis treatment, to help research meet their needs, so please do share your views by completing this survey. You can see what else the Cochrane Ear, Nose and Throat Disorders Group gets up to here. 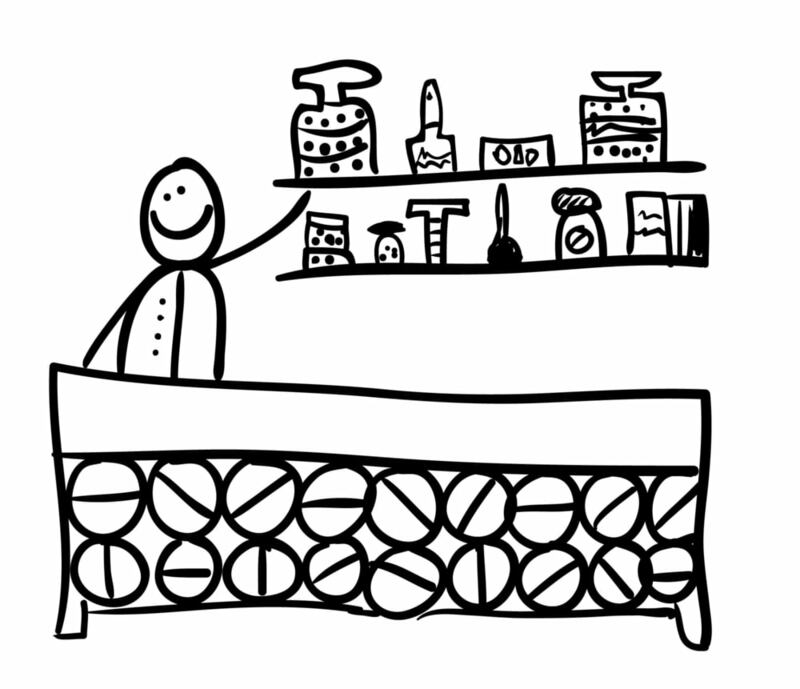 An item in many people’s bathroom cupboards is one of those creams, gels or lotion to treat painful musculoskeletal conditions. You know the ones; you rub them on and your skin reddens and feels warm. That’s because they contain rubefacients, drugs that increase the blood flow to the skin. A Cochrane review looked for evidence on those containing salicylate, a common ingredient in these preparations and one that’s been used since at least 400 BC. We don’t know if the Ancient Greeks got it wrong, but we can say that there’s no good evidence that they give useful pain relief. Add a dose of caffeine for pain relief? I’ve noticed recently how many painkillers prominently displayed on shop shelves have caffeine added and wondered if they were worth the higher price. 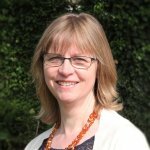 I was interested to see that a Cochrane review has high quality evidence that adding caffeine (100 mg or more) to a standard dose of commonly used painkillers (most often paracetamol or ibuprofen) increases the proportion of people who get good pain relief from common pain conditions like headache and toothache. No serious adverse events were reported and the reviewers say it’s unlikely to be harmful if the recommended dose is not exceeded. This raises the question whether drinking a cup of coffee with your painkiller might be an effective, cheaper alternative to buying a combined pill. Please see the response to this from one of the review authors, below the blog. Finally, do remember that pharmacists are fantastic sources of advice and can help us keep out of our overstretched GP surgeries and Emergency Departments. 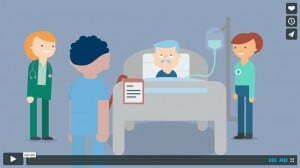 The Royal Pharmaceutical Society has produced this nice little video explaining how our high street pharmacist can help. Stay well or, if you’re feeling poorly, get well soon! Hello. Interesting about adding caffeine to painkillers – I think the only review where the evidence was reasonably strong that it works. Was there nothing in the review about whether it might be easier (and cheaper) to have a cup of coffee with your painkiller rather than buy the (more expensive) pills with added caffeine? Is there no evidence about that? Hi Caroline, yes I wondered about that and can’t see anything about it in the review. Interesting discussion in the background about caffeine mechanisms & dosages – worth reading. The studies in this review did not state explicitly the form in which caffeine was given to the participants, but coffee is a good source of caffeine and we believe that a mug of strong coffee is equivalent to about 100 mg caffeine. Taking your usual painkiller with a mug of coffee certainly has the potential to be easier and cheaper (depending on whether you frequent one of the well known coffee chains or brew up at home) and this is the advice we at Pain Research now follow ourselves and recommend to friends and family, with good results. Thanks Sheena this is really useful to know! Well, call me impulsive, but I’ve registered a trial to test this on http://www.randomiseme.org – as an EQUATOR person and keen to raise awareness and use of reporting guidelines to enhance quality and transparency of the published research literature, I thought why not run a public trial (with a published protocol following SPIRIT guidance, and an open access report and corresponding data set, following CONSORT guideline) to answer the question whether a cup of coffee is as effective as a combined pill once and for all. This beautifully conducted and reported data can then feed straight into the Cochrane review update – job done! You in?! Yes, we do have to question whether or not over the counter or prescription meds are all they are cracked up to be. There was a time when we relied on herbal remedies for healing. Modern day medicine has kind of made us think that the only way to treat illnesses and disorders is through conventional means. Thanks for addressing these issues.